In the second quarter inflation fell to 0.8 %, this from an upward-revised 1.4% in the first quarter. The lowest level on record for Core PCE inflation is 0.7 %. That was in the first quarter of 2009. 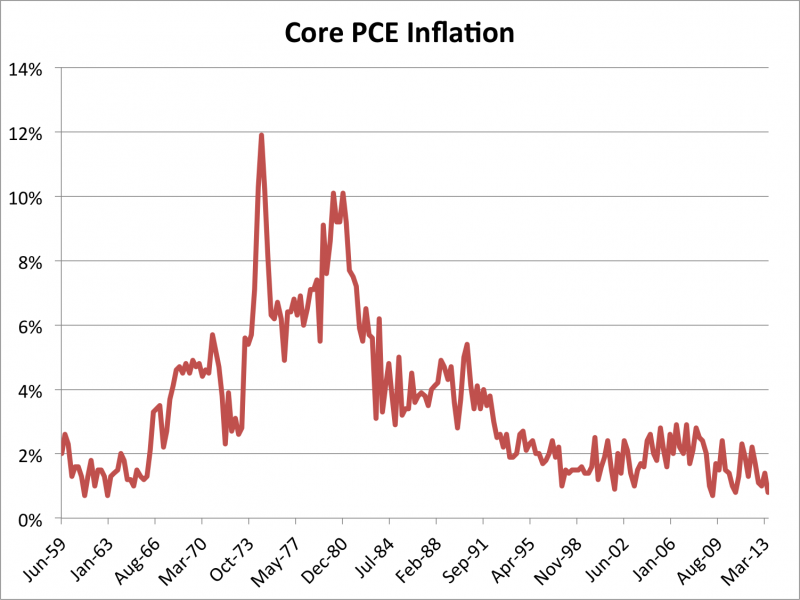 Core PCE touched 0.7 % twice in the early 1960s, that is as far back as the data go.